7/8"-22.2mm Classic Cruiser Bike Chrome Headset: Nice Durable Headset that Fits Classic & Vintage Schwinn Cruiser Frames and CWC Frames like: Western Flyer, Hawthorne, and Roadmaster Bikes. The 7/8" or 22.2mm Denotes the Stem Size that will fit through the top nut, this dimension is relative to the head tube hole in your fork. You will want your Stem to fit in the top nut and fork tube snugly for proper performance. Vintage Schwinn's used the 7/8"-22.2mm size on Bikes Predating 1965, (1965 and Before). Note: the Bottom Race DOES NOT Fit Classic Schwinn Forks, you will have to use an Original Schwinn bottom race or use a shim. 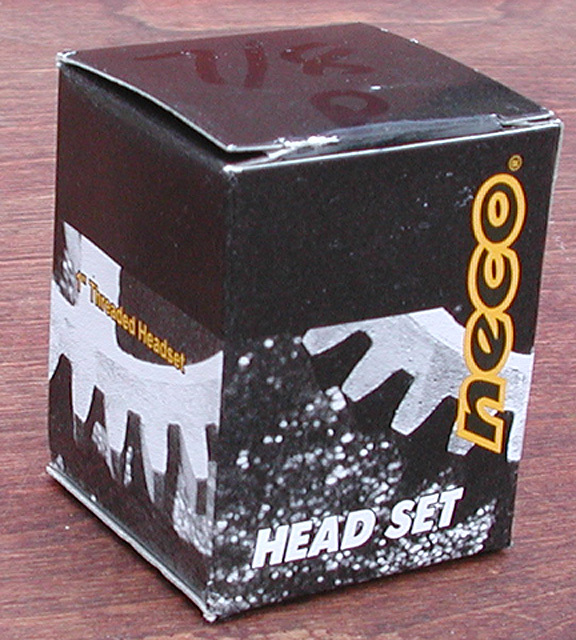 This is the head set we ship and use with our Lux Low Forks. We Also Sell This headset in Gold and a smaller 13/16"-21.1mm version for Schwinn's 1966 and there after.